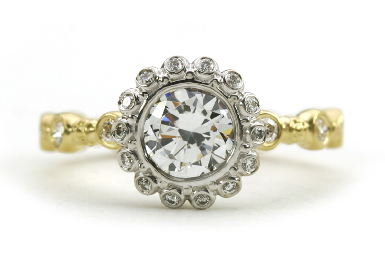 Old European cut bezel set diamond surrounded by smaller bezel diamonds. Center diamond .80 carats. For the bride who wants something different.